This bold & gallant washroom creates a fresh feel. The netra marfil color walls with dark brown and white combination storage with black shade of countertop provide a bold surge of energy, creating an inspirational room. When designing or updating your bathroom, it’s the little things that add appeal. One of the quickest and easiest ways to change your bathroom’s look is by updating or adding accessories that match your personal style. 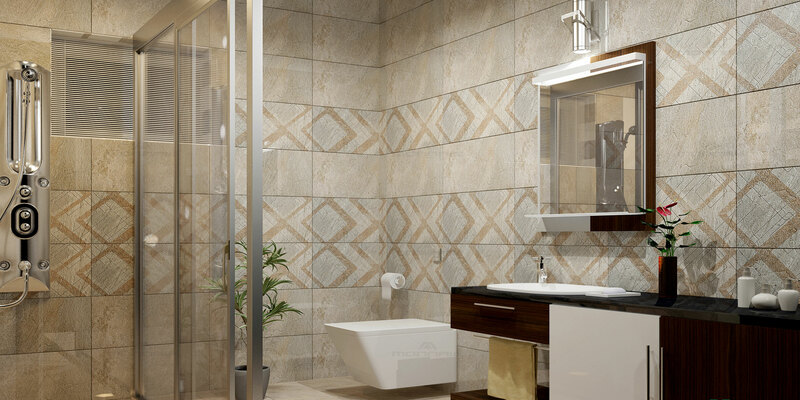 For a rather small investment and a short amount of time, you can completely change the look of your bathroom. The double led lamps and the vertical spa systems are an added glow to the existing favourable atmosphere.